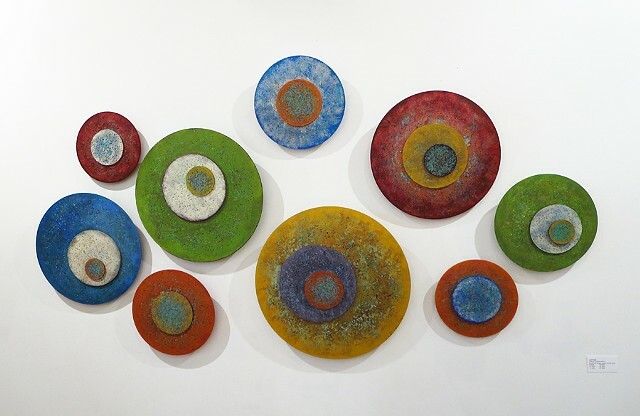 Encaustic beeswax and acrylic paint on circle-shaped acrylic panels with metallic accents showcasing bright, contemporary colors perfect for any corporate or private space. The circles are offset to invoke movement and asymetrical balanced connectivity. 40" x 72" x 3"